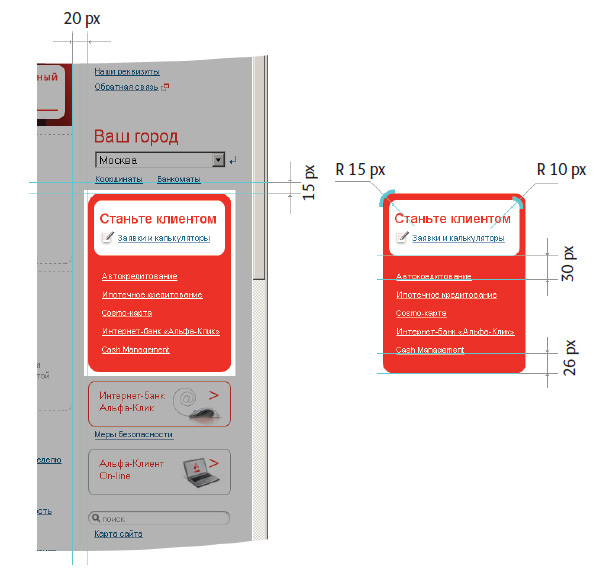 Problem: Develop corporate web design standards and prepare digital guidelines. 50-page brandbook includes guidelines to make sure that the Russian and English versions of the Alfa Bank website match in terms of design, and prevent staff from adding inappropriate details. There are grid rules, navigation principles and requirements for page layout, graphics and functions.